The Movement for the Actualisation of the Sovereign State of Biafra has said it will not be cajoled into abandoning its agitation for Biafra in reaction to a statement by Acting President Yemi Osinbajo that Nigeria cannot afford to disintegrate. MASSOB said on Saturday that contrary to the VP’s statement, the country had already disintegrated. Osinbajo had in Calabar said Nigeria could not afford to break up and added that the heterogeneous nature of the country earned it respect from other nations. But MASSOB’s National Director of Information, Sunday Okereafor, who spoke with Sunday Punch, explained that the Igbo had continued to suffer marginalisation, including the absence of good federal roads in the South-East. Okereafor, who also spoke on the rejection of the South-East Development Bill by the House of Representatives, pointed out that it would be difficult for the Federal Government to develop the region during the current recession. “We are saying no to Acting President Yemi Osinbajo’s call for Nigerians to come together. There has been no plan or intention to develop the South- East. It will remain undeveloped. We have no road in the region. Can they start now that the recession is on? It is laughable to think that the Federal Government can develop the South-East and South-South now. “Today, Biafra is the answer. We cannot negotiate and we cannot come together again. We have said it is Biafra or nothing and we cannot negotiate it with anybody for the sake of our future. “Nigeria has already disintegrated. Fulani herdsmen are attacking innocent Nigerians and this is one of the signs that Nigeria is not one again. 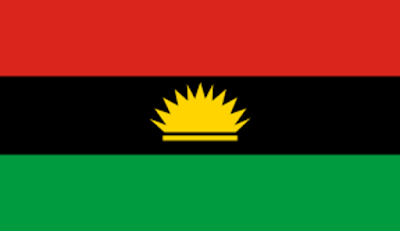 MASSOB is saying that on Biafra we stand,” he said. The MASSOB spokesman pointed out that Osinbajo was aware that the South-East was marginalised, adding that the call for the development of the area was just. According to him, the region has been patient for a long time and there was no going back in the struggle for a sovereign state. “In the whole world, it is on record that only MASSOB had a successful sit-at-home protest and non-violent movement. We want the acting president to know this,” Okereafor added. Meanwhile, the Chief Edwin Clark-led Pan Niger Delta Forum has called on the Federal Government to implement the report of the 2014 confab, adding that its recommendations were capable of resolving the various agitations from ethnic groups in the country. PANDEF, in a statement signed by its Central Working Committee Co-Chairman, Obong Victor Attah, on Saturday, noted that while it acknowledged the Biafra agitation as it was borne out of marginalisation and discrimination against the Igbo, restructuring of the country would end the agitation. It stated that the success recorded in the sit-at-home call by the Biafran agitators was a clear indication that all was not well with the country. The statement added that the development was a wake-up call to the Federal Government to start the restructuring of the country.